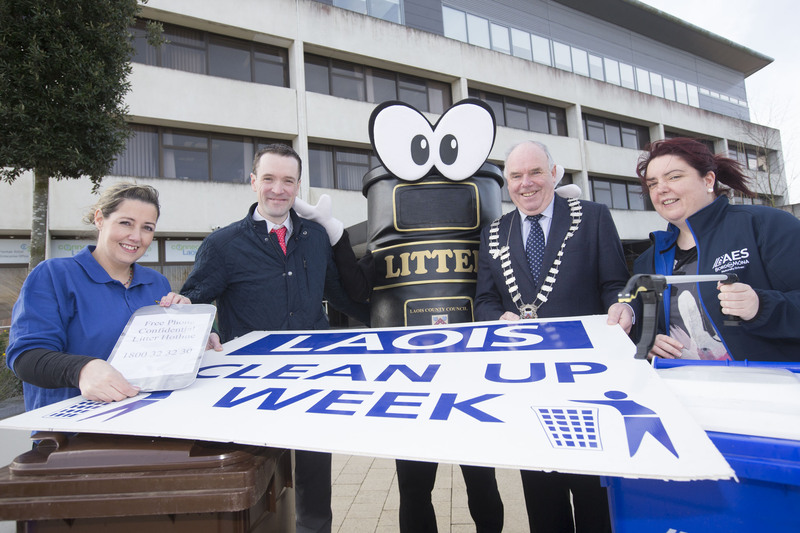 Clean up Laois Week is back and bigger than ever for its 16 year running. 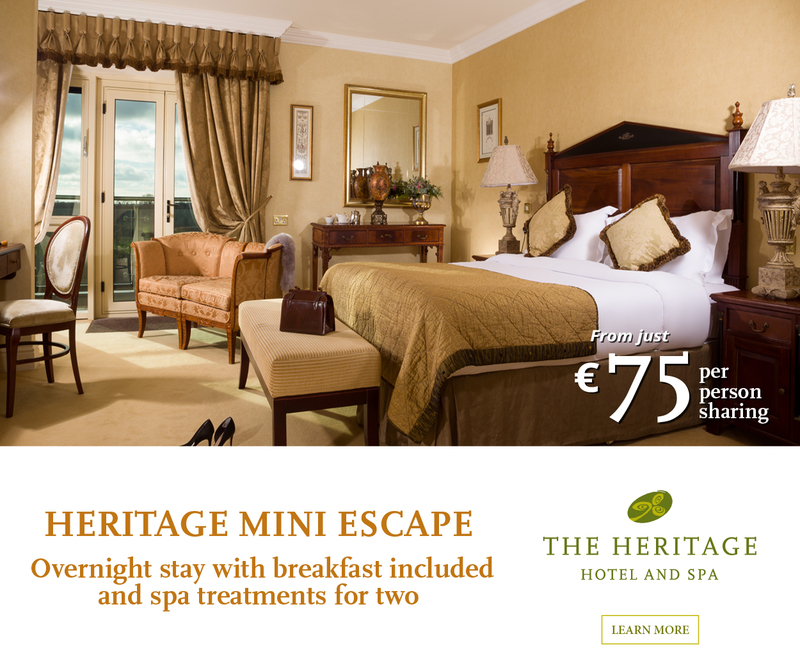 Taking place from Monday 8 to Friday 12 April, it is run in conjunction with An Taisce’s – National Spring Clean Campaign. 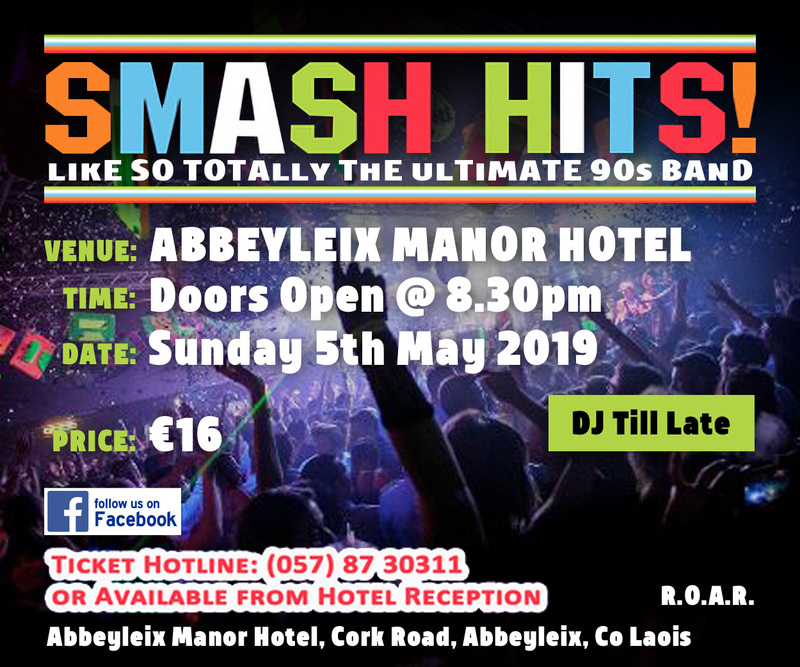 In previous years, the campaign has been a huge success and growing year on year, with the support and sponsorship from AES who take away the bags of rubbish collected. 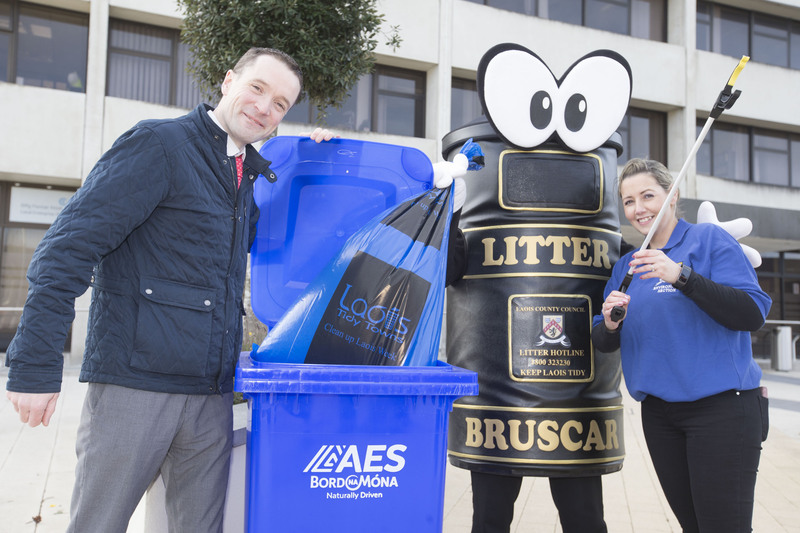 In 2018 nearly 150 groups registered and in excess of 900 volunteers took part in the initiative, which resulted in a total of 49.08 tonnes of waste being collected. 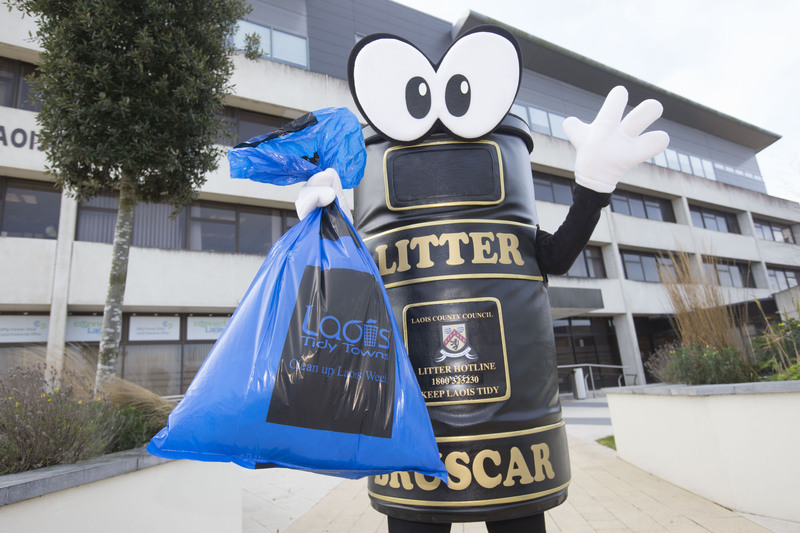 Bags, gloves and litter pickers will be available to registered groups from the 3rd of April from County Hall, Portlaoise, Laois and served on a first come first served basis. 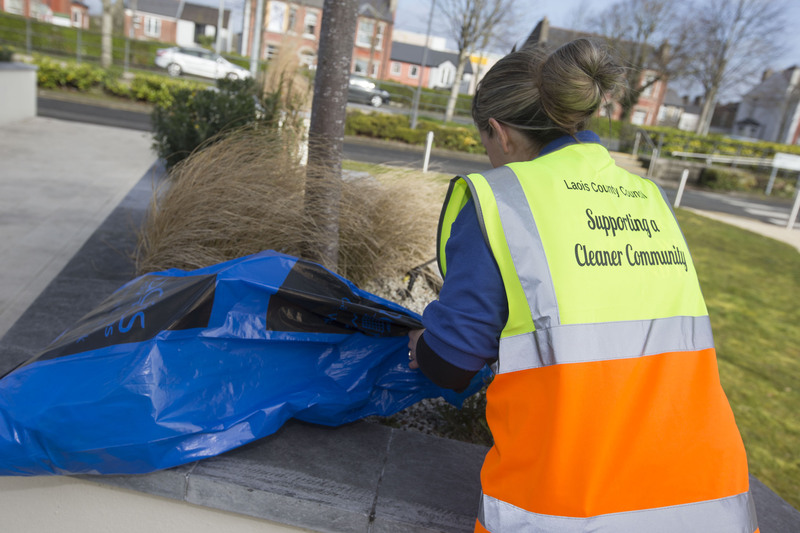 AES will take away the bags of rubbish collected during the week on a rota basis as per registration form. 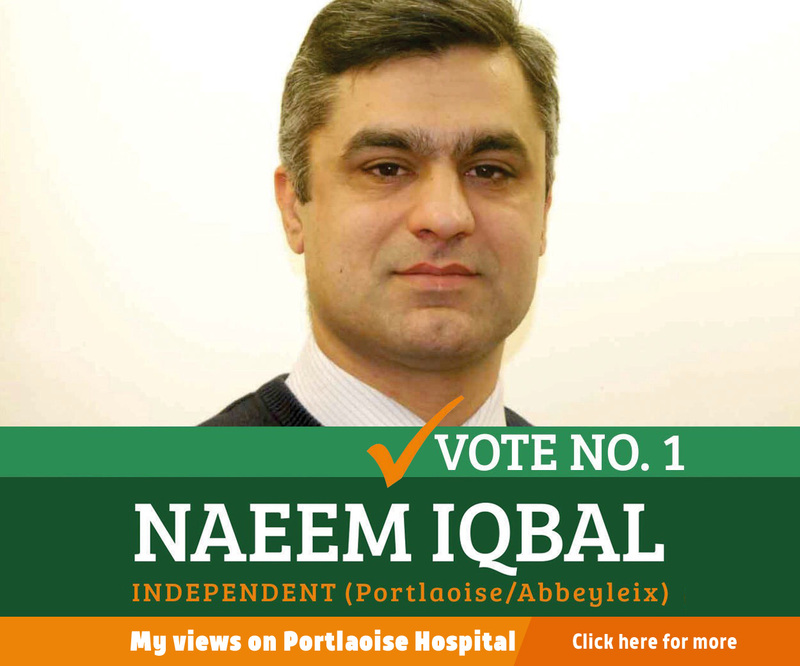 Speaking at the launch, Siobhan Duff, Environment Section of Laois County Council, said: “It’s wonderful to see the huge level of commitment and involvement in all towns and villages across the County. To register your group visit here to download a registration form or contact Siobhan Duff in the Environment Section on 057 86 74330 or cleanupweek@laoiscoco.ie. 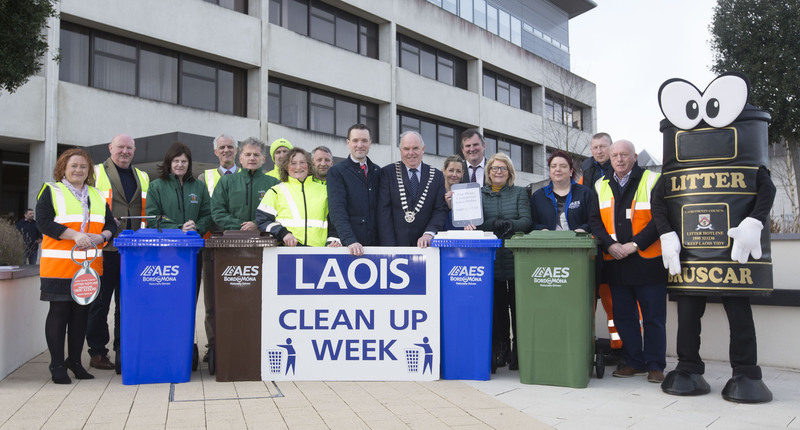 Launching Clean Up Laois Week which runs from 8th-12th April 2019 are Leas-Cathaoirleach John Joe Fennelly MCC and Paul Flanagan AES (sponsor) with LCC management and staff; Councillors, AES staff and ‘Binji’. 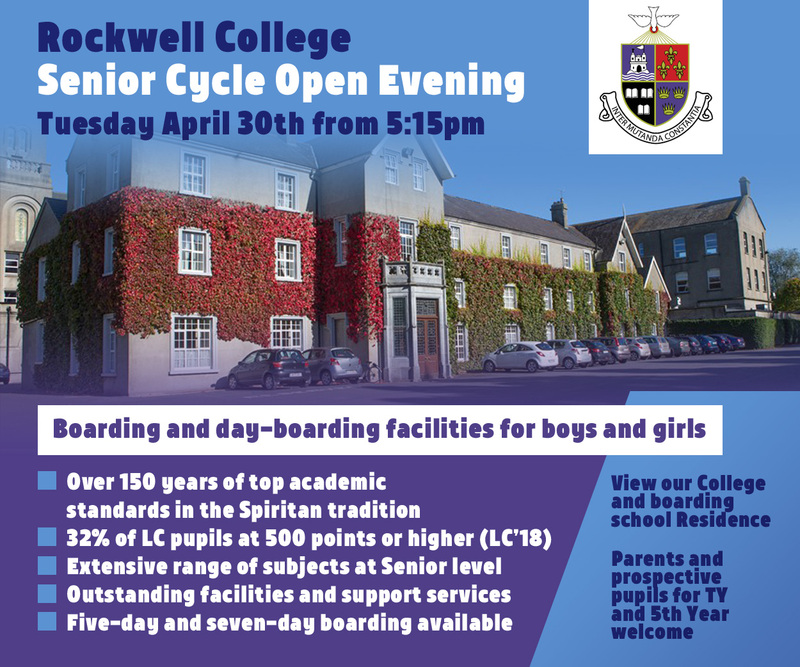 Siobhan Duff, Environment section LCC; Paul Flanagan, AES (sponsor); Leas-Cathaoirleach John Joe Fennelly MCC and Mary McGill, AES with ‘Binji’. 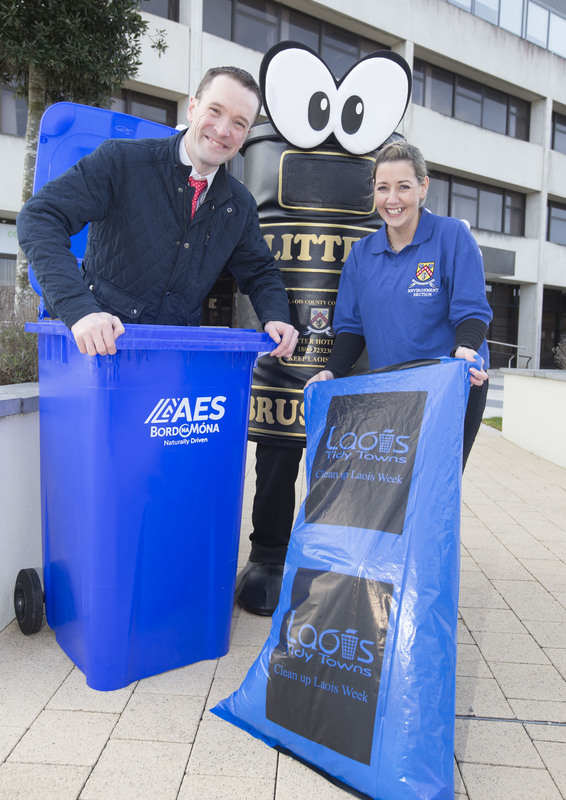 Siobhan Duff, Environment section LCC and Paul Flanagan, AES (sponsor) with ‘Binji’. 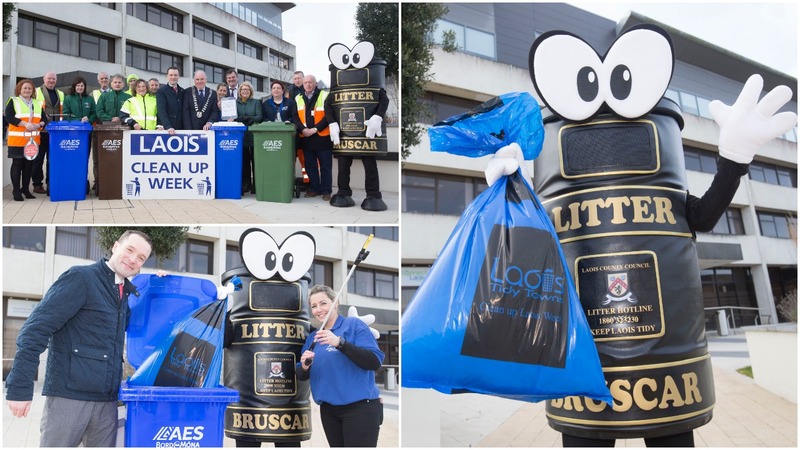 ‘Binji’ launching Clean Up Laois Week which runs from 8th-12th April 2019. 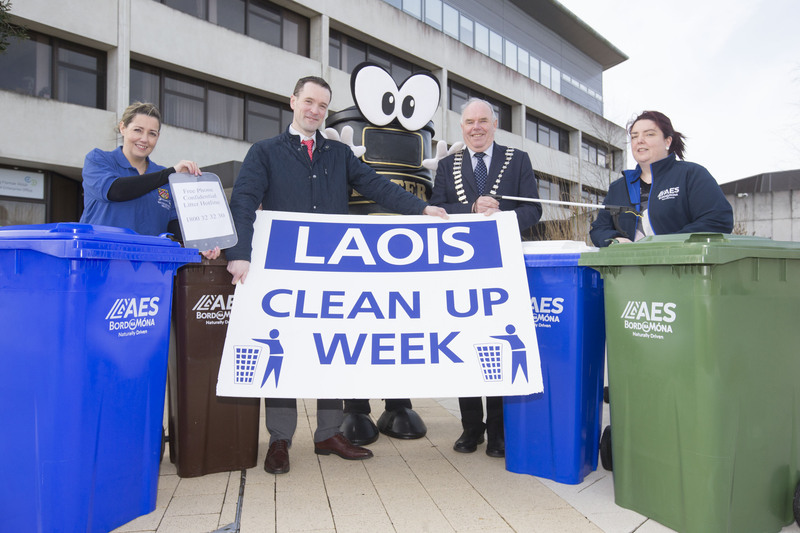 Launching Clean Up Laois Week which runs from 8th-12th April 2019.